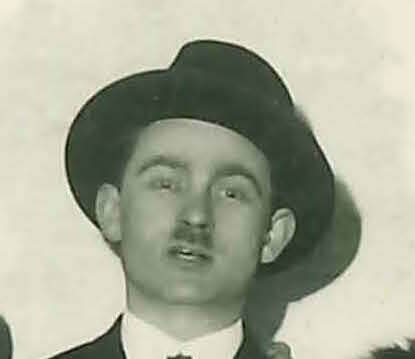 After a year living in Nagyszalonta and following his father’s remarriage to Chana, my father went to the Pocking DP camp, the second largest DP camp in Germany. 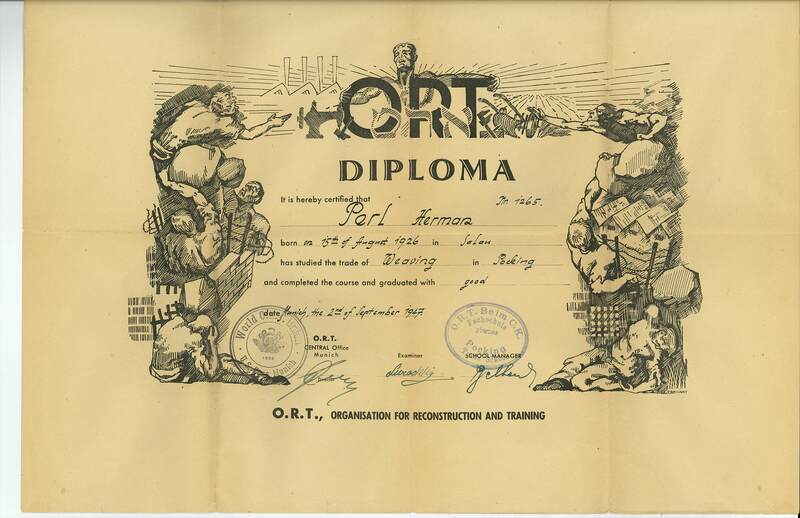 There, he received diploma from ORT, the organization for reconstruction and training, for his studies in the trade of weaving, dated September 2, 1947. The Pocking DP camp had schools, yeshivos, theatres and a sports club. It was a place where Jews began to rebuild; they studied, published, participated in arts and culture, and started new families. 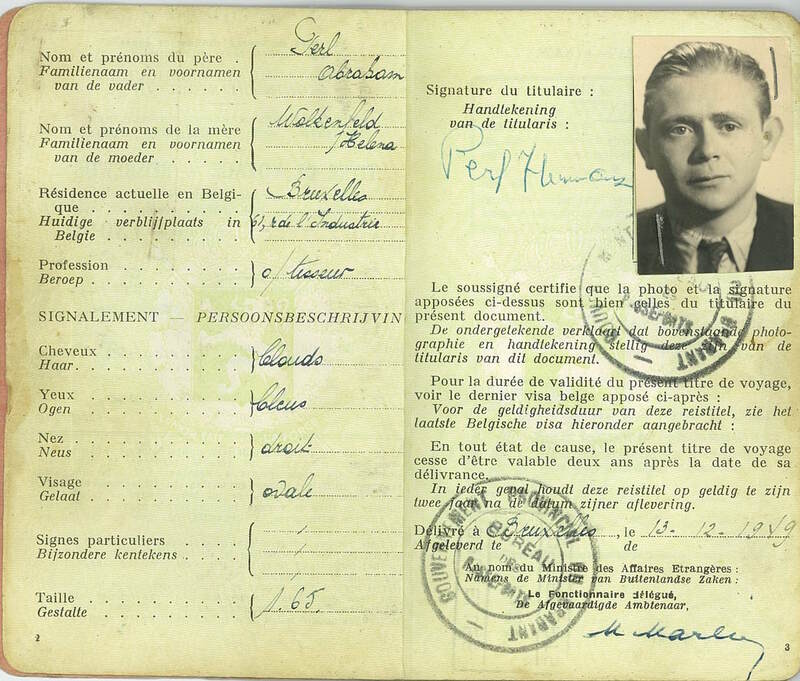 My father left Poking, Germany, and arrived in Paris, France, where his great aunt Juliette (his maternal grandmother’s sister) and her husband, Alex, lived. 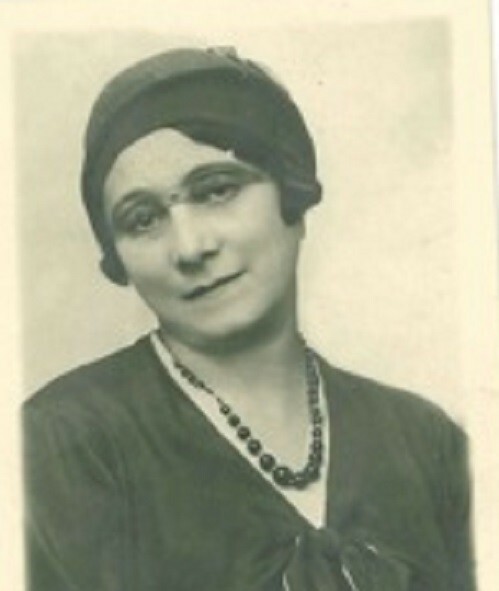 “Tante Juliette,” as she was called, was an actress in the Jewish theatre and a colourful character. 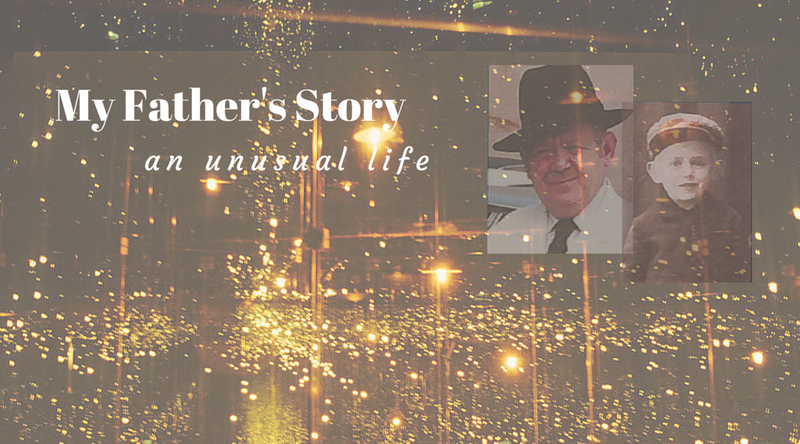 They were not religiously observant, and I can only imagine the culture shock that my father experienced while there. 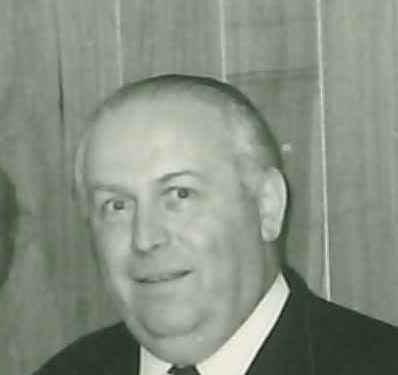 Avraham, my grandfather, and his wife, Chana, arrived in Paris eight months after my father arrived, and, together, they moved to Brussels, Belgium, where my grandfather’s mother, Shaindel Sarah; three sisters, Chaya, Esther, and Cecile; and two brothers, Nachum and Serge, lived. 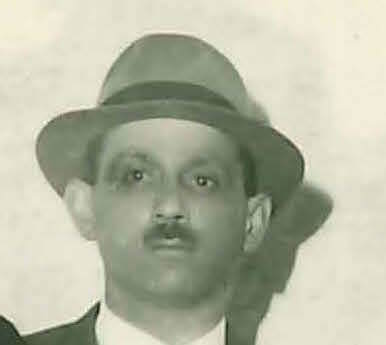 My father’s maternal uncles, Adolph, Sam, and Yitzchak Langsner also lived there. 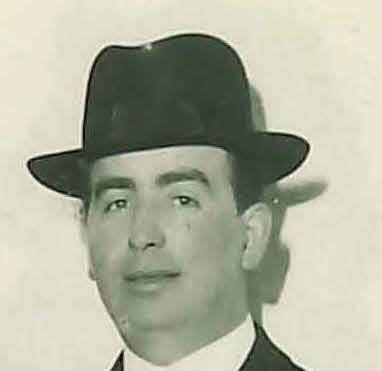 For the next two years, they lived with Chaya and her husband Yitzchak Langsner (husband and wife and also first cousins), where he studied engineering and later worked with Uncle Yitzchak, the only kosher butcher in Brussels. 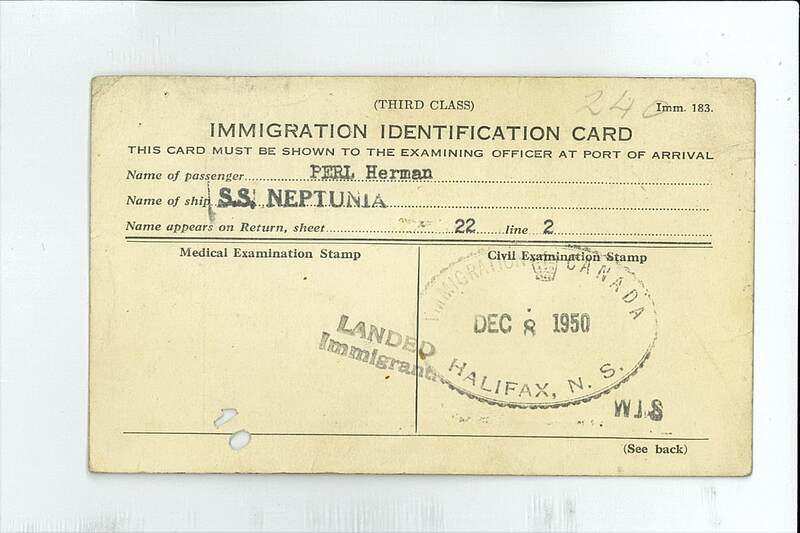 And so he did, disembarking from the S.S. Neptunia, at the port of Halifax, Nova Scotia, on December 8, 1950. My father was 24 years old, with nothing more than a fierce desire to rebuild his life, a wellspring of ambition, and the princely sum of $24. My father walked from store to store looking for a job. 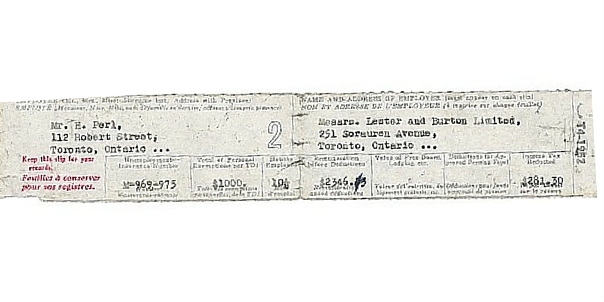 He finally got one as a textile engineer in the Lester and Burton factory. Not knowing a word of English, he was given the night shift. He worked 12 hours a night, 4 nights a week, for a total of 48 hours per week, working extra hours to make up for not working on Friday nights. This he refused to do because it was the Sabbath (the day of rest when Orthodox Jews do not work, lasting from Friday night to Saturday night.) At the time, a regular textile worker earned $30 a week, while he earned $64 a week, a great deal of money for that time. 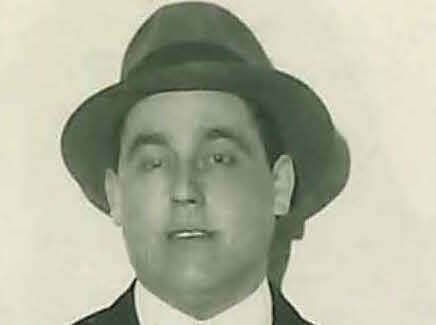 Business was slow and the factory laid off everyone except for three workers, my father being one of them. “Because we kept you on, you owe us,” management told him. “We need you to work on Saturdays.” Week after week, my father came up with a different excuse as to why he couldn’t come in on Saturday. Finally, he ran out of excuses and had no choice but to tell the truth. When he explained that he could not work on the Sabbath, the owner, a German Jew, answered, “Herman, you’re making a mistake. We’re not in Europe anymore. Here in Canada, we work on Saturdays.” “Well, I’m not working on Saturday,” he answered, and walked out. 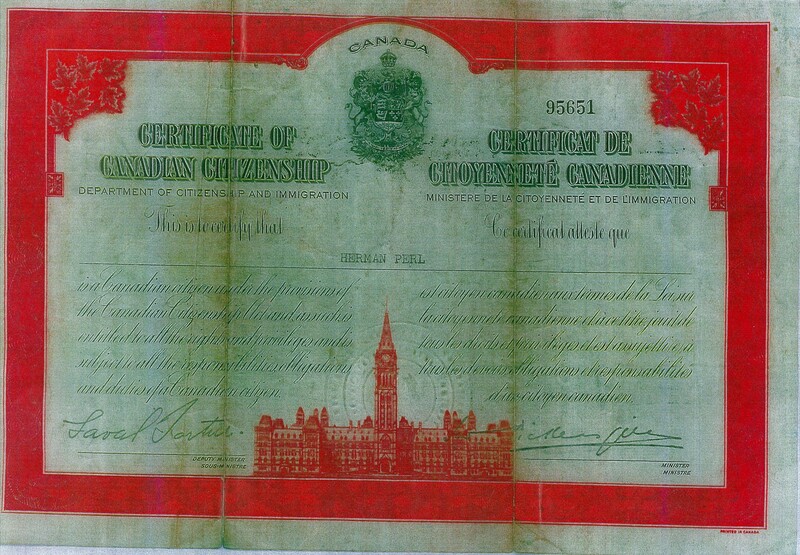 So, what did my father do when practicing his faith led him to lose his job and the ability to earn a decent living? Open Toronto’s first kosher self-serve meat and poultry store and call it Perl’s Meat.